What is the Young Actors Studio all about? 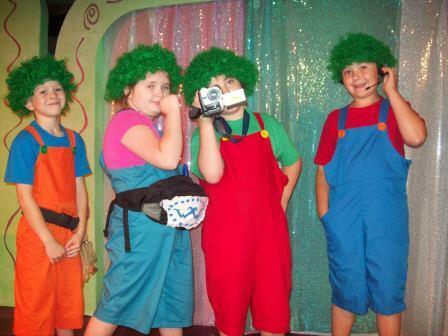 Saltworks Young Actors Studio (YAS) is a theater school for 4-16 year olds in Pittsburgh, PA. Through our semester-long classes, weekend workshops, and summer day camps, we help kids learn about the wonderful world of performing on stage. We also put on full productions once or twice a year. 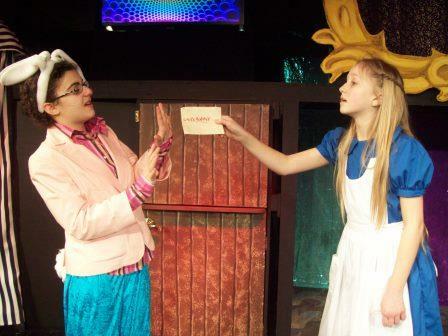 Our ever-changing curriculum covers a wide range of topics in the theatrical arts. From monologues to scene study, script writing to movement, we endeavor to give our students a number of opportunities to learn something brand new as well as build on existing skills. The best thing about our courses is that kids of all levels of skill and interest are welcome and will fit right in. Our teachers are all professionals in their field who are dedicated to making sure every student has a fun, successful experience in each class. With so many options for afterschool and summer activities, it is hard to choose the right one. That’s why it is so important to understand why Saltworks stands out from other youth programs and theater schools. While we teach theater here at Saltworks, what we really hope our students will learn is self-confidence, friendship, and respect. One of our guiding principles in all of our classes and shows is “Process Over Product.” This means that, while we frequently put on exceptional final productions, we are most invested in how much our students have learned and grown throughout the course of the classes or rehearsals. It also means that we understand that not every student will be in the same place at the end of a given process and that different students will need different types of challenges to help them develop. Another Saltworks Young Actors Studio motto is “Have a Woo-Hoo Attitude!” Having a Woo-Hoo attitude means jumping in with both feet to every activity and exercise with an excited, positive mindset. Someone with a Woo-Hoo attitude also supports their fellow actors as they put their most imaginative selves forward. Theater can be intimidating sometimes, even when we’re just playing games in class, and we know that it’s much easier to make the big, wild choices that make acting so fun in an environment where each student is willing to be enthusiastic and creative and to cheer everyone else on while they do the same thing. With these ideals as a foundation, the Young Actors Studio is a haven for all sorts of kids. We hear over and over again from parents that their child had never felt like they fit in at an afterschool program or summer camp until Saltworks. Every Saltworks student gets the chance to shine, no matter how long they’ve been coming to classes or had an interest in performing. No disability or fear has been a barrier for long for any of the students that have come to Saltworks’ Young Actors Studio over the years. While many Saltworks alumni have gone on to professional theater careers, what we really hope to produce from our program is well-rounded, level-headed human beings who have infinite confidence in themselves and a Woo-Hoo attitude towards the world. Saltworks Studio, located in Pittsburgh, PA, (with a Sewickley location for acting classes in the North Hills) has always been a safe place to take acting classes and to learn about acting among friends. In our classes, we emphasize building acting skills as well as important character traits that will help students out as they go through life. 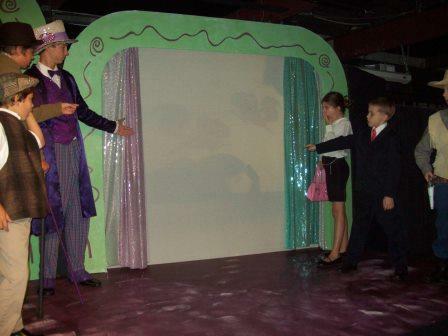 Things like cooperation, problem-solving, confidence, and communication are addressed in the acting classes. Acting classes and workshops are offered throughout the year at two locations: Church of the Ascension in the Oakland section of Pittsburgh, and Christ Church at Grove Farm in Sewickley (Mount Nebo Rd.). All Saltworks Instructors for our acting classes in both Pittsburgh and the North Hills locations have extensive theater training and professional experience which enables them to both challenge and inspire young people. Our staff is committed to making our acting classes and theater training a positive experience. We also specialize in small class sizes to ensure each student has the best learning environment. In every acting class or workshop our students are encouraged to try new things in a fun atmosphere. Saltworks Studio is a safe place where students can really be themselves while learning to act like someone else.